Mariska Meijers conquers the world with unexpected pattern combinations and intense colours. In this special collection from Origin, Mariska's mark is clearly visible. A colourful celebration where deep purple, bright green, vibrant yellow, hot pink and various blue tones are combined with the most surprising designs in a unique way. 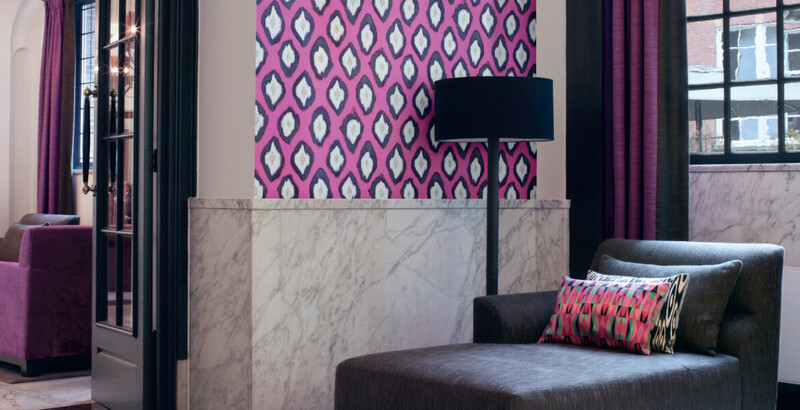 Superior wallpaper with big magnolia and eclectic ikat designs are real eye-catchers for any interior design.